Xi&apos;an is often called the birthplace of Chinese civilization. Capital of Shaanxi Province and eastern end to the Silk Road, the history and cultural significance of Xi&apos;an stretches through China&apos;s ancient past and into its bright future. 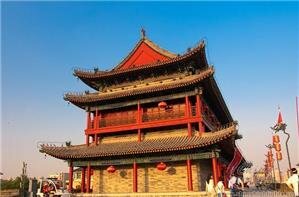 Xi&apos;an was the capital city of 13 imperial dynasties, the most for any city, and many ancient structures are preserved. "The First Emperor" united China from his base in the Xi&apos;an area, and he has left a mighty legacy. Located in north central China, Xi&apos;an is a popular tourist destination with foreigners and locals alike. Here are eight facts travelers should know before visiting Xi&apos;an to help you plan your trip. 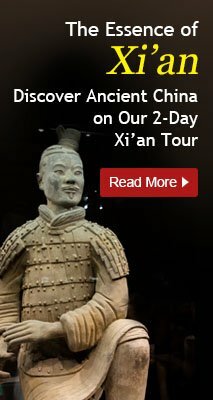 Also Read How to Plan a Tour of Xi&apos;an. 1. Xi&apos;an is one of China&apos;s most popular tourist destinations. 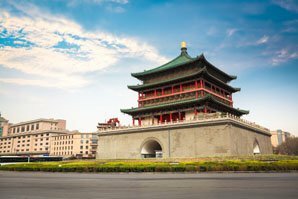 Listed as one of "Must Visit" cities of China, Xi&apos;an can often be found included on pre-planned tours of China. 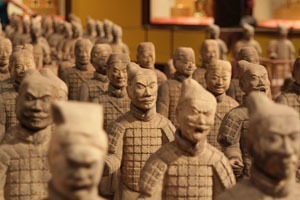 Xi&apos;an is most famous for its Terracotta Warriors, which have become an international symbol of China&apos;s history. 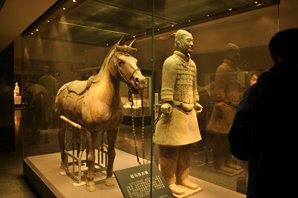 A visit to this museum is viewed as something that simply cannot be missed if you&apos;re planning a trip to China. 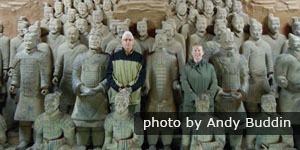 Click to see How to Visit the Terracotta Army — an Insider&apos;s Guide. 2. Xi&apos;an cuisine cannot be missed. Being near the central part of China, Xi&apos;an is a crossroads for many of the great Chinese cuisines. Restaurants in Xi&apos;an range from Cantonese to spicy Sichuan styles. Dumplings, noodles, lamb, and kabobs all contribute to the list of best dishes in Xi&apos;an. Here are the names of some of the more famous meals you might encounter: roujiamo, Xi&apos;an kabobs, guantang baozi, biangbiang noodles, and yangrou pao mo. Our One-Day Xi&apos;an Highlights Tour will take you to taste local snacks and the flavor of life in the Muslim Quarter. 3. 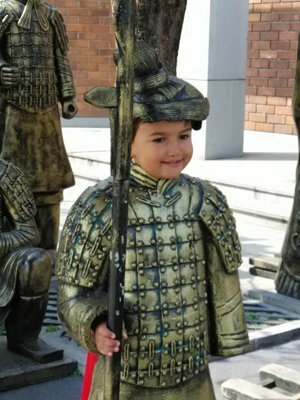 Xi&apos;an is home to unique souvenirs and local products. 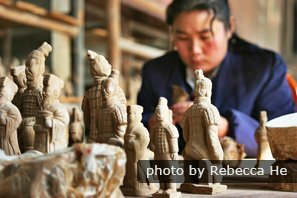 Perhaps the most popular items to buy in Xi&apos;an are the reproductions of Terracotta Army Figurines. These can be found throughout the city at very reasonable prices. Shopping in Xi&apos;an ranges from luxury malls to small craft markets, which means it&apos;s easy to find a souvenir no matter your budget. Other options include: antiques, cultural artworks, peasant paintings, and traditional paper cuttings. 4. The History of Xi&apos;an tells the Story of China. Xi&apos;an, the capital city of 13 different Chinese dynasties, has a long and storied history. Many dynasties from about 3,000 to 1,000 years ago had their capital city here, which is how it came to be called the fountainhead of civilization for China. 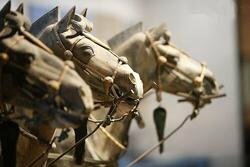 The city influenced the west via the Silk Road as it was the end of the historical route in China. The Ming Dynasty revitalized the city in the 14th century, with a new built around the perimeter. This period also saw the city renamed Xi’an, or “Western Peace.” See more on "Place Names Around Xi&apos;an — History and a Chinese Lesson". Stroll on the ancient City Wall. The climate in Xi&apos;an is temperate and semi-arid. The temperatures range throughout the four seasons at fairly moderate levels. The best time to visit is the spring and autumn during the cool, but not too cold, seasons. Xi&apos;an is also known for dust storms in the spring and early summer. The rainy season occurs from July to September, though there isn&apos;t much rain. Learn more about the weather in Xi&apos;an. 6. Xi&apos;an is Home to an Advanced Transportation System. The Xi&apos;an Xianyang International Airport is the largest airport in Northwest China. The airport serves as a terminus for many other places in China and Asia. The metro consists of three lines which provide convenient access to sights like the Ancient City Wall, Big Wild Goose Pagoda, and Banpo Museum. Two main concentric ring roads encircle the city, as is the fashion in most major Chinese urban areas. Xi&apos;an also boasts 6 train stations, making it easy to find a connection to your next destination. The Xi&apos;an Railway Station is among the top 8 in the country. Read more about navigating in and to Xi&apos;an in our Xi&apos;an Transportation section. Xi&apos;an is known for its ancient and well preserved city walls. Many tourists enjoy walking sections of the walls during their visit, but another option is to bike on the city wall. The walls once built to protect the city and the Ming dynasty emperor have stood the test of time and offer excellent views of the surrounding area to those with a mind for adventure. 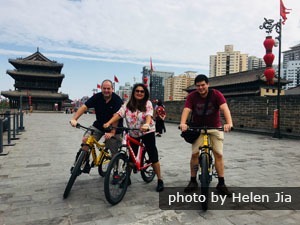 Join in our 2-Day Essence of Xi&apos;an Tour to take a cycling trip on the Ancient City Wall. 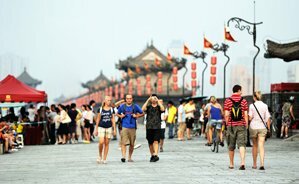 In 2014, Xi&apos;an became yet another popular tourist city within China to adopt a visa free policy. Xi&apos;an was the first city in what is considered northwest China to adopt a visa policy and the ninth city in all of China. Contact us today to schedule a tour of Xi&apos;an&apos;s famous sights. Ask about our custom tours to explore individualized options.